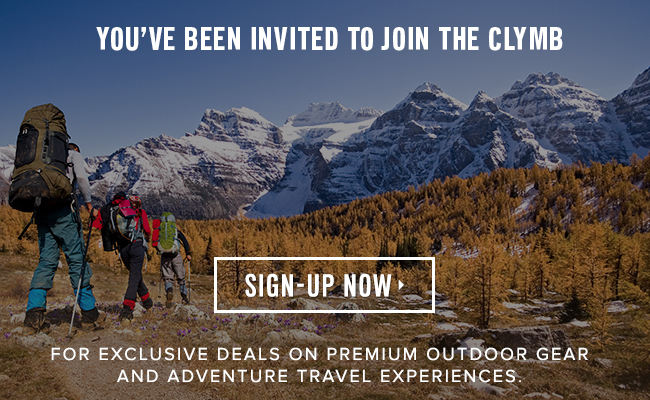 Receive insider prices on premium outdoor gear and apparel from the best brands in the industry. We offer members amazing deals on trips to iconic adventure destinations around the globe. Share The Clymb with your friends. We’ll give you $25 when their first order of $25 or more ships. Like us for chances to win gear credits every day. Every package we ship is 100% Carbon Neutral. Learn more about our carbon offsets program at NativeEnergy.com.